20-22 March 2018, JSI, Ljubljana, Slovenia (For project partners only). 6-7 June 2018, San Francisco, USA. 17-21 June 2018, Philedelphia, USA. 22-26 July 2018, London, UK. SESAME colleagues Yann Bartosiewicz (UCL), Andreas Class (KIT), Afaque Shams (NRG), Elia Merzari (ANL), and Sofiane Benhamadouche (EDF) will act as co-chair of the Computational Fluid Dynamics track. 1-5 October 2018, Delft, Netherlands (For project partners only). 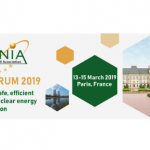 Ferry Roelofs (NRG) and Mariano Tarantino (ENEA) will organise a panel session about thermal-hydraulic challenges for liquid metal cooled fast reactors. 11-15 November 2018, Orlando, USA. The ANS Winter Meeting 2018 will embed the International Topical Meeting on Advances in Thermal Hydraulics 2018. General chair of this embedded meeting is SESAME colleague Xu Cheng (KIT). 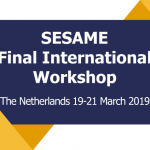 Furthermore the Technical Program Chair Sofiane Benhamadouche (EDF) is a member of the SESAME senior advisory committee and Elia Merzari (ANL) is involved in SESAME through a transatlantic collaboration. Katrien Van Tichelen (SCK) will give a keynote lecture on MYRRHA and Ferry Roelofs and Afaque Shams (NRG) will organise special sessions on “simulation and experiments of wire-wrapped fuel assemblies” and “thermal-hydraulics in low-Prandtl fluids”. An international workshop organised by the MYRTE project to disseminate the main results of the project open for discussion with the international heavy liquid metal community. More information to be announced in 2018. 19-21 March 2019, Petten, Netherlands. 15-19 April 2019, Juan Les Pins, France. 9-13 June 2019, Minneapolis, USA. 18-22 August 2019, Portland, USA. The Nuclear Reactor Thermal Hydraulics (NURETH) conference series is the leading series of conferences in the field. The 18th edition of this conference will be organized in Portland (USA). 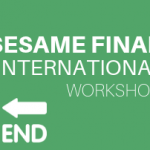 At the time of the conference the SESAME project should be finished. Nevertheless, we might expect many SESAME related contributions. 17-21 November 2019, Washington DC, USA. 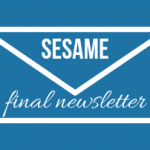 SESAME final newsletter is out!